Merging contemporary style with a sporty look, this men's digital watch from Q&Q's Regular collection is a must have for every watch aficionado. With a stunning black round dial powered by a quartz movement, this timepiece comes with a stylish white silicon strap. Moreover, the useful pushers further elevate the look of the dial. 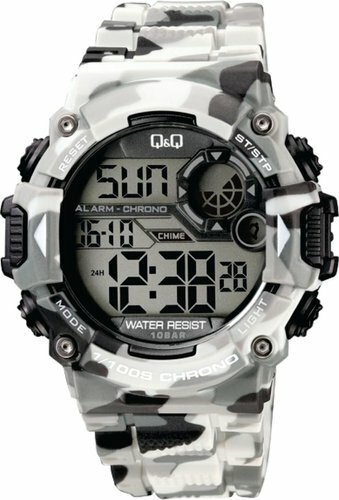 Team this water resistant watch with a pair of shorts and a T-Shirt to look stylish.